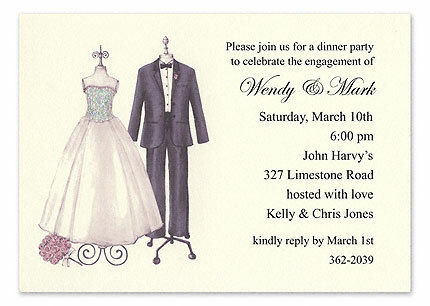 Very classic invitation featuring a wedding dress and tuxedo with hand-painted sparkles on the bodice of the wedding dress. 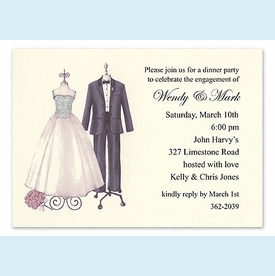 Ideal invitation for a engagement party, bridal shower, couples shower, save the date, wedding or rehearsal dinner! NOTE: Only 9 sets left!